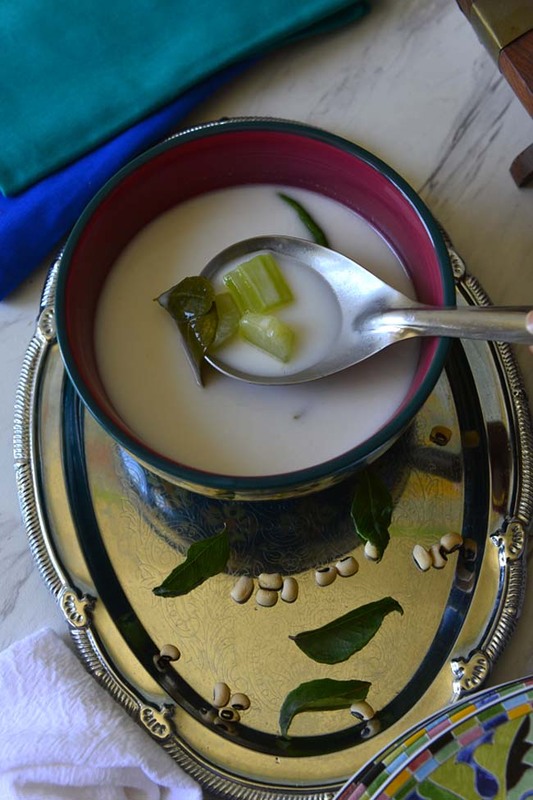 Olan is another essential part of sadya dishes. 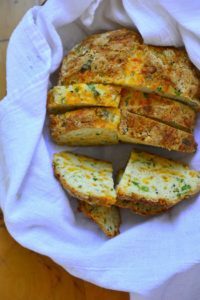 It is quite simple to make and very mild in taste. 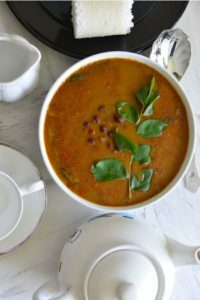 It might surprise many to learn that very many of the south Indian dishes are nothing like what the rest of the world knows as “Indian Food”. Olan is served as a side dish for the carb of choice of the region- rice. 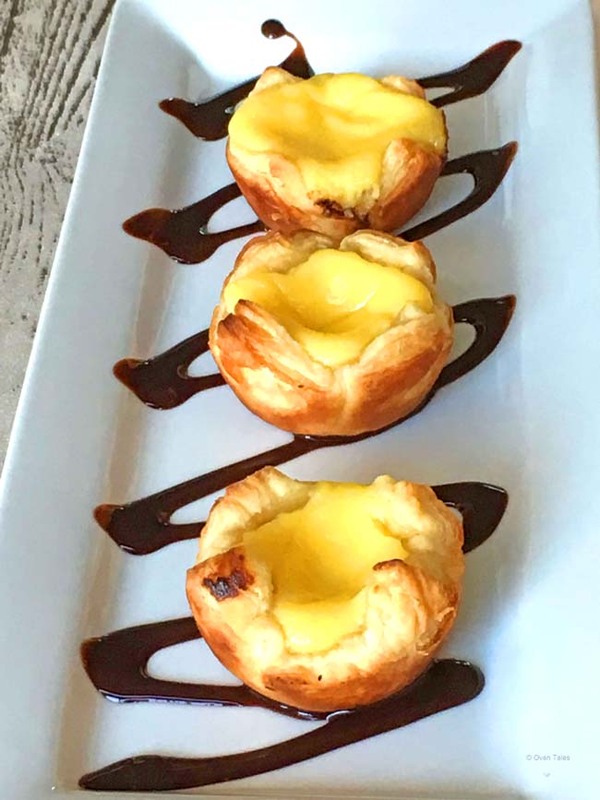 It goes well with rice pancakes and flat breads as well. 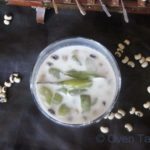 There are two versions of Olan that I know of – one with coconut milk and other with just coconut oil . The coconut milk version is the one that I am familiar with. Olan can be prepared with different vegetables or combination of vegetables, but strong flavors are generally avoided . 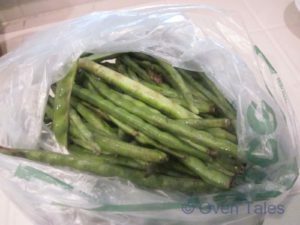 Some of the vegetable used are pumpkins, ash gourd, cucumber , long beans and various dried beans . 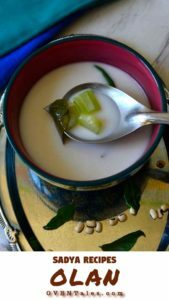 My favorite is black eyed beans and ash gourd , as the cooked curry retains the white color and has very mild flavor . 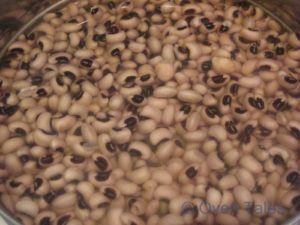 If using the dried black eyed beans soak them in water for a couple of hours . 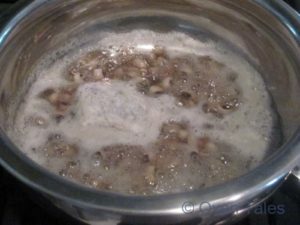 Rinse and add enough water to cover the beans and cook for 10 to 20 minutes till it becomes soft . 5 minute into cooking skim off the froth that settles on top . Alternately these can be pressure cooked as well . In that case presoaking is not necessary . If you are lucky to have the whole beans in the pods you can use them as well. 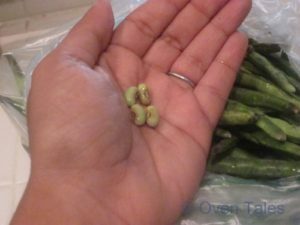 If the beans are tender chop the pods into 1 inch long pieces and use , otherwise shell them and use the beans . 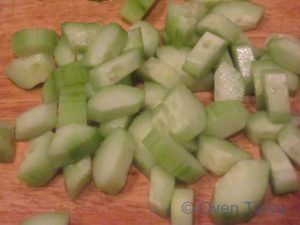 Chop the cucumber or ash gourd into slices 1/2 inch or less thick . Add the vegetable slices , and 2 thai chilies to the cooked beans along with 1/2 C water and a pinch of salt. Bring this to boil and cook for 5 minutes until the vegetables are tender. Add a few tablespoons of thick coconut milk, stir and taste . Adjust salt if necessary. Drizzle a teaspoon of coconut oil and place a curry leaf on top. Cover and turn off the heat . Let it rest for at least 2o minutes before serving. Olan is dish made with gourds and beans. 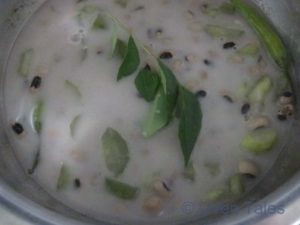 Coconut milk is used to flavor the vegetables an d a few curry leaves and green chilies are added for a touch of flavor. It is very mild and used as a palate cleanser during the festival meal - Sadya. Wash the dried black eyed beans and soak in plenty of water for at least 1 hour , preferably overnight. 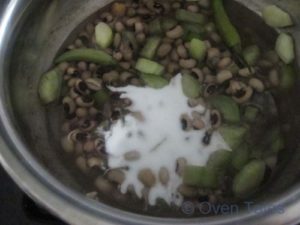 Rise the beans and cook in 2 ups water. A few minutes into boiling remove the froth that settles on top . Peel and slice the cucumbers into small pieces no more than 1/2 cm thick . 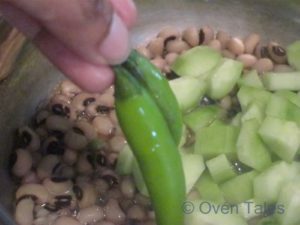 When the beans are almost cooked add the cucumber slices, a pinch of salt along with the chilies . Cook for a 5 minutes till the vegetables become soft . Add half the coconut milk stir and taste . Adjust salt and add more coconut milk as necessary. After adding coconut milk do not let the stew come to boil . Turn off the heat. Drizzle the coconut oil and place the curry leaves on top. Cover and let it rest for some time before serving .